Definition of Extrusion: It may be defined as a method used to create objects of a fixed cross-sectional shape such as aluminum extrusion. A die is prepared which will be of desired profile and material is then pushed through that die. Extrusion is one of the forming processes in the manufacturing category. It is a compressive deformation method that is only compressive and shear stress will act on the metal. There will be a continuous reduction in diameter with an increase in the length of the object. Most of the metals require hot working, but metals like the aluminum can be processed at room temperature. Using this method we can produce objects of very complex cross-sections. Extrusion may be continuous, semi-continuous, direct or indirect depending on the end results. It is a hot working method. It is a cold working method. It is performed above the recrystallization temperature of the material. It is performed at room temperature. The cost is lower when compared. It can produce a good surface finish. The metal may get oxidized. The metal will not get oxidized. Metals like steel, nickel, and copper require hot extruded. Metals like Aluminium, lead, and tin requires cold rolled. Forward and backward extrusion is also known as direct and indirect extrusion respectively. 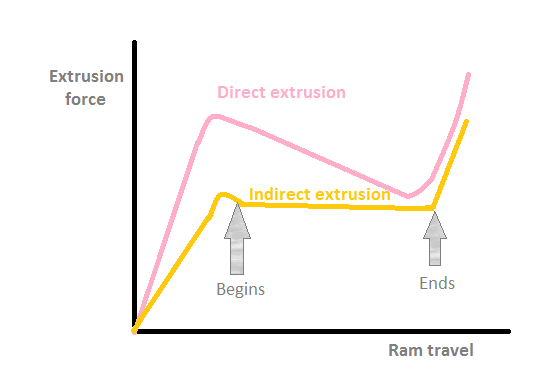 so, here is the difference between direct and indirect extrusion. The billet is placed in a heavy walled container. Billet and container moved together. The force required to extrude material is greater. The force required to extrude metal is lower than the forward extrusion. This is a versatile process. It is not a versatile process. Cross-sectional area is limited by the maximum size of the stem. Extrusion is a continuous process which involves squeezing metal through a die. It is intended for making continuous lengths of desired cross sections. Whereas injection molding is a method in which metal is injected into a mold and after cooling it is removed from the mold. It is a cyclic process. Aluminum extrusion is a method of converting aluminum alloy into objects of desire profile and geometry. Properly design and create the die. 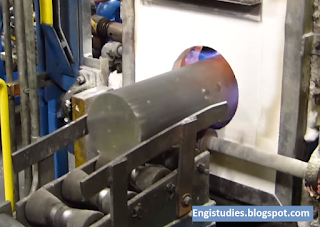 Heat the billet until 800 to 925 degree Fahrenheit. Transfer it to a loader where a small amount of lubricant added. It helps to keep the parts separate and do not stick to each other. The ram then pushes the billet into the container through die opening. 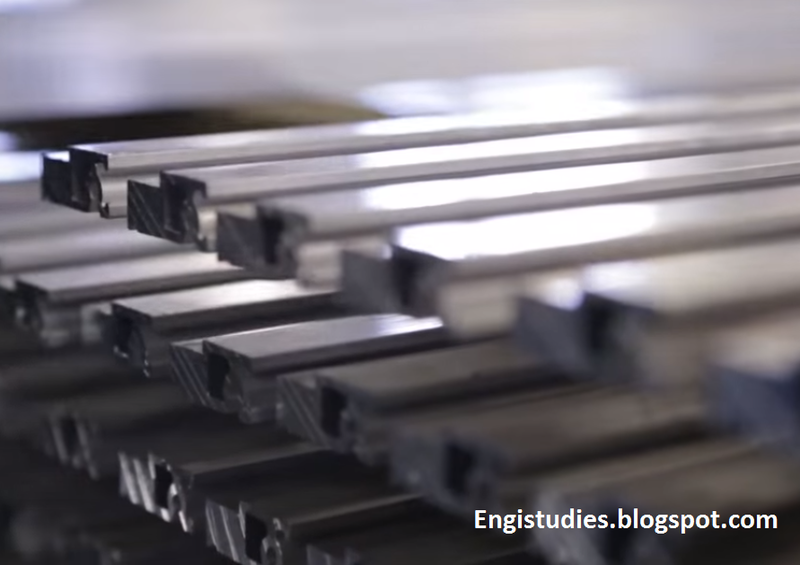 The extruded aluminum profiles passed onto a run-out table. It is cooled and passed to work hardening.